Stomp on over to Summitt’s library for a “Yabba-dabba-doo” good time! The Summitt Spring Book Fair runs through this Friday, April 5 at noon. Don’t forget CATCH night is Thursday, April 4 from 5:30 – 7 pm. Wear your favorite Sports Team Jerseys and fill out your PASSPORT to enter a raffle for some cool prizes! We have fun events such as DrumFIT, Parent Pacer Challenge, Camp Gladiator Obstacle Course, Anderson HS Soccer Team, Art Make ‘n’ Take, Healthy Info Booths, Book Fair, and Cosmic Kids Yoga! We will also host Team Jersey Day during the school day! Also, we still need a few volunteers to help on CATCH night and to pack up on Friday. Sign up now to volunteer and make this book fair a Dino-Mite success. Contact Denise Richey (denise.richey@austinisd.org) with any questions. Please note: If you are interested in shopping the book fair during morning arrival, doors will open close to 7:15 a.m. Please do not proceed to classrooms until morning assembly has dismissed, and please make sure your child is in his or her classroom before the tardy bell at 7:45 a.m. If you are interested in shopping the book fair during dismissal, please enter the building along with the Kinder parent pick up line at the front entrance after students have dismissed and cleared the hallways. 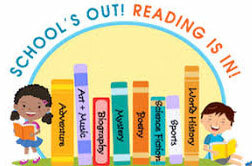 The Book Fair will remain open until 3:30 p.m.
Next Coffee with the Principal is Thursday April 4th at 7:45 am. Kristin Ashy, our newly elected Board Trustee, will also be in attendance to speak. Beautification Work Day next weekThe Summitt Beautification team received a Bright Green Futures Grant and now we are putting our plans in motion. We need your help and ask that you join us for a planting day on Saturday April 13th starting at 9 am. We will be planting native plants in various areas around campus to help our local pollinators. Please bring garden tools, gloves, sunscreen and plenty of water. We’ve got big plans, so please come out and help make our campus beautiful. If you have questions, email Mary Ann Thomas at Maryannthomas7479@gmail.com. As we finish up this school year, now is a good time to start thinking about getting ready for next school year before you get caught up in all your fun summer activities. Summitt is partnering with 1st Day School Supplies again this year in order to provide the exact supplies next year’s teachers have requested from their school supply lists, all delivered to your child’s classroom in time for the 1st day of school. Save yourself the time of shopping for next year’s school supplies and support our school – each purchase through 1st Day School Supplies includes a donation to the school. The order deadline is June 30th! https://1stdayschoolsupplies.com/kits.php?sid=105797. Vietnamese translation is here. We still have 80% to go! Please consider placing a few dollars towards this cause to support our kids and prevent the summer slide getting them! Help Fund Summitt’s Reading Initiative by making a small donation: http://give.livingtree.com/c/summitt-summer-reading-initiative. Here is info on Research regarding the summer slide. Thank you so much to all the friends and families who have already visited and registered for a week or two of fun at Camp Summitt! If you’ve noticed any additions, revisions, or tweaks, our sincerest apologies. As this is our first, of what we hope will be many seasons of Camp Summitt, we ask your pardon. The website is now current and will not be changing again. We are looking forward to a full house and encourage you to spread the word to all of our Summitt families. We’d love for your students to be a part of the first ever Camp Summitt! Camp will be divided into two 1 week sessions from 9am to 3pm with extended hours available if needed. Proceeds from Summitt Summer Camp are used to fund school-wide needs such as technology, classroom materials and professional development. Click here for details. Enroll Your Child for 2019-2020 School Year TODAYEnroll NOW (scroll to the bottom for returning). It is quick and easy. AND helps Summitt prepare accurately for the upcoming school year to minimize having to shift kids and teachers at the last minute. Thanks! Librarian Appreciation WeekLibrarian Appreciation Week is next week! However, because of STAAR testing, the Summitt Appreciation Team has decided to push it out a week and will be acknowledging our amazing Ms. Richey, and her wonderful assistant, Ms. Alvarado, the week of April 15th. Be on the look out for more details in next week’s newsletter. Your donations make appreciation weeks possible! Pick an item from the Amazon Wish List https://www.amazon.com/hz/wishlist/ls/2G2Q7VFYZZONF?ref_=wl_share) and ship directly to: Appreciation Team, Summitt Elementary, 12207 Brigadoon Ln, Austin, TX 78727. Or contribute with ApplePay (512-731-7460), Venmo (@Rhubka), or cash/check (appreciationdays@summitteagles.org). Be sure to include your name on the order so we can say “thank you”! Kick off Autism Awareness Month at Hope Takes Flight, a family friendly event sponsored by William’s Community School. William’s Community School is located right around the corner from Summitt, on Duval Rd., and primarily serves children with autism. Hope Takes Flight is going to start with a fun run for kids and parents, and feature live music, food trailers, face painting, a petting zoo, and other kid friendly activities. All proceeds will benefit William’s Community School, a 501(c)(3) non-profit organization.